Reading is a learned skill. By that, I am not only talking about the skill of deriving sound and speech from a string of symbols, but also about the systematic approach to breaking down and understanding information dense books. Back in engineering school, I struggled a lot with reading books. The trouble was not understanding the matter or getting through the book (though with some engineering books that was also very hard to do), but to do so in an effective and efficient way*. I got by, but I struggled and was not satisfied with the results. I did try a little stint at speed-reading but quickly discovered that it was pseudo-scientific snake oil bs**. This was a problem that kept annoying me well after engineering school. I am an avid reader of non-fiction books, I like to read science and engineering, history, and politics. Knowing I could do much better and looking for techniques to improve, I discovered the bible of the avid reader: How to Read a Book by Mortimer J. Adler. The following post will summarize the methods described in Adler’s book with the adjustments that I made that worked for me. If you liked this post and you want to get Adler’s complete method, I highly recommend you pick up How to Read a Book! They are called levels because one advances from the first to the fourth level on their journey to reading proficiency. They built upon each other, for example, no syntopical reading is possible if one does not know or did not conduct analytical reading, and analytical reading does not work without elementary reading. Elementary reading: This is the most basic level of reading. It is about identifying strings of letters as words with meaning. Since you are reading this blog I assume you have already mastered this level to perfection. Elementary reading will not concern us during this post. Inspectional reading: This is the first stage of reading a book. The book is, as the name implies, inspected, and the goal is to get a superficial overview of what the book is about. Analytical reading: This is the most advanced stage of reading a single book. The book is not read from cover to cover but thoroughly analyzed. The goal is to get a thorough, big-picture overview of the book, then diving in and working through it in an analytical fashion. 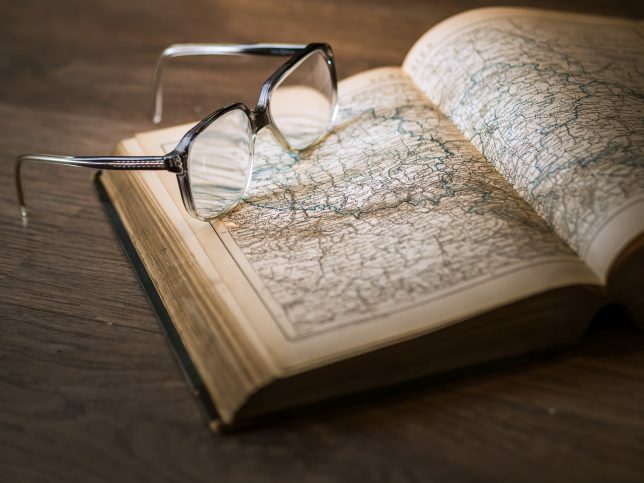 Syntopical reading: Syntopical reading is the art of reading several books on the same subject at the same time, and finding connections between them. This is an art and the highest form of reading. Adler compares it to a conversation between the authors of the books and the reader. Syntopical reading will be the focus of a future post. The goal of inspectional reading is to get a superficial overview of the book in order to find out if it’s worth reading. Adler is of the opinion that many books are not written in such a fashion that they facilitate understanding, and many books are simply not worth reading. Time is too scarce to waste it on books that don’t deserve it. Inspectional reading is there for us to find out if the book we want to read now belongs in that category. The steps are simple: read the back cover, read the inlet description if there is one, read the table of contents. Then, proceed to the foreword and introduction. Next, skim the book. Flip pages, look at diagrams and pictures, read the headings, read paragraphs and sections that you find interesting. Is this book worthy of your time? If not, then toss it out. If yes, proceed. Another important question: does this book deserve to be read analytically by you? If not, read it from cover to cover, enjoy it, and put it away after you are done. If yes, proceed with analytical reading. As the name implies, the goal of this stage is to thoroughly analyze the book in order to facilitate understanding. Again, we start with the table of contents. We want to deeply understand the structure and the „big picture“ context of the book, i.e. why is it structured the way it is, how is the flow of thoughts organized, why do we go from this topic to that topic. In order to do that, we go through each chapter, reading the headlines, the first few paragraphs of the chapter or the subheadings etc. until we know what this chapter is about. I like to write that down right on the first page of the chapter above the title, and also in the table of contents. I do that so whenever I look at the table of contents, I know exactly the content of each chapter and can get an overview of the book by simply looking at the table of contents. I also write it down on the first page of each chapter so that when I get to that chapter I can remind myself what is coming up next. Having gained this overview, we dive right into the chapter. The first step is to skim the chapter, look at the headings and subheadings. Again, the goal is to get an overview of the chapter, much like we went through the table of contents in order to get an overview of the book itself. Gaining this big picture understanding of the chapter itself makes it much easier to connect the different topics and understand the details, as we can already start making connections with different themes of the book. It is much easier to learn and understand small topics and details when you know how it fits into the context of the book. Another important step is skipping right to the back of each chapter and reading the chapter summary and the chapter questions. The chapter summary highlights the most important points of the chapter. The chapter questions show which points were of particular importance to the author, and having read them already primes the brain for the most important arguments. The best friend of the book reader is a pencil. With a pencil, we can underline important words, sentences, and sections, take notes in the margins, and make little diagrams explaining concepts. This is a technique I struggled with a lot in the beginning, as I am a book lover and I always wanted to have my books in perfect condition. However, once I tried it out and saw how immensely powerful using a pencil is, I cannot go back anymore. Using a pencil makes migrating your notes from the book to your notebook a lot easier, not only because it eliminates the need to carry around your notebook at all times, but also because you already underline the important parts and take notes on the most important topics (without having to fumble around with the notebook while reading). When I migrate my notes I skim through the book and copy only the most important sentences, notes, and diagrams into my notebook. It would be best to do this migration process after each chapter, however this disrupts my workflow and tends to be a reason for me to procrastinate („Man I’d love to read this book but I have to migrate my notes from the last chapter and I really don’t feel like doing that!“), so I do it after I have finished the book. Actually, I put away the book for a week, two weeks, or even a month or two, and combined with the advantage described in the next paragraph, this works wonders for me. The most powerful advantage of using a pencil while reading is that it supercharges your understanding. The process of underlining (only the most important parts) already forces you to read actively and look for these key passages and discourages passive, mindless, zoned out reading. Subconsciously, you already start thinking about what you are reading, your brain starts working in the background. The act of writing down ideas and thoughts you have while reading the book enables you to think them to the end and helps in retention and understanding. You are already actively working with the book! When I pick up the book after having finished it in order to migrate my notes into my notebook, these thoughts and ideas, and the understanding I have gained from reading the book, have been simmering in the back of my mind, marinating and forming new connections. Now when I pick up the book and go through my notes in the book, I look at my notes from another perspective, form other and better connections, and all the final puzzle pieces that were lost magically find their place. This is how I read non-fiction books that are important to me. What are your thoughts on effective and efficient reading techniques? Share them in the comments! **I have very strong feelings on speed reading. I think it is a scam by people who have never picked up a book on science or engineering, who solely focus on fiction and light self-help reading, and who don’t enjoy reading much. Why else would they advocate a method that significantly lowers understanding and retention, and takes out all the fun in reading?